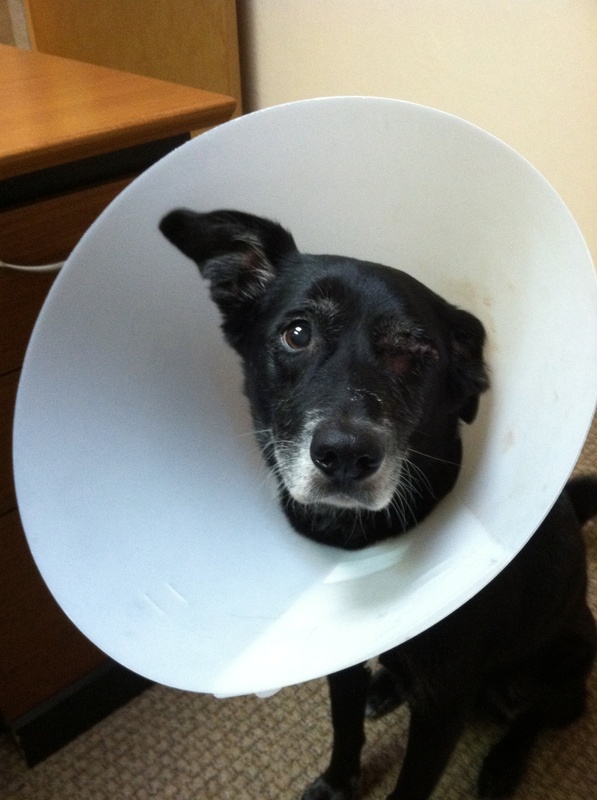 This is Harley AKA Pirate Dog right after his eye removal. Don’t feel too sorry for him- he was significantly more upset by the cone than he was by the eye. He couldn’t see out of it anyway. Now that we’ve gotten that business out of the way, let’s talk books! 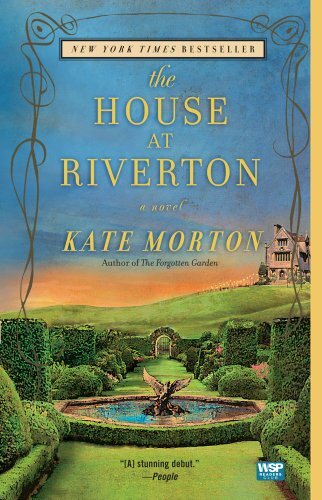 I just finished The House At Riverton by Kate Morton. I read The Forgotten Garden a while back (you can read about it here) and I liked it well enough to try another of Ms. Morton’s novels. Sometimes I have difficulty differentiating an author’s “style” and an author recycling the same literary devices. I’m not saying that I didn’t enjoy The House at Riverton, but there were so many similarities in the story structure between it and Forgotten that I found myself drawing an awful lot of comparisons. 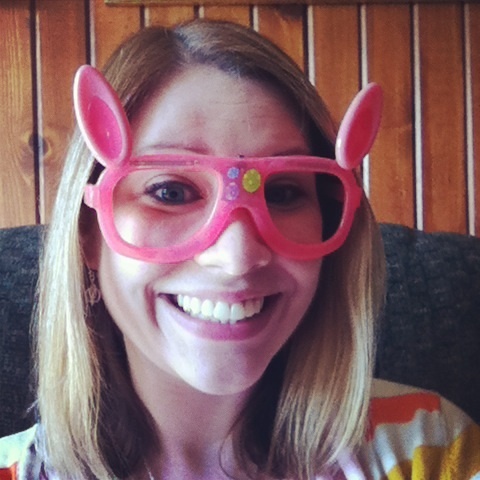 Fortunately, I LIKE Kate Morton’s style… or recycling… so I didn’t mind too much. The House at Riverton tells the story of Grace. We go back and forth between Grace’s time as a young housemaid to a wealthy family in the English countryside and Grace in her twilight years at a nursing home. Grace’s early tales start out just before the outbreak of WWI and take us through the first half of the 1920s. The family that employs Grace has its share of dirty little secrets (really, what kind of a book would be written about a HAPPY aristocratic family?) and throughout the book Grace uncovers them. All in all, The House at Riverton was a decent read. I wouldn’t count it among my all time favorites, but it was a solidly written story. It held my interest, and in spite of my criticisms, I enjoyed it. Have any of my bookworms run into authors that seem to recycle their stories? Do you think think it’s a question of style or lack of new ideas? (I am so not blaming any authors for this- I’ve been blogging for two months and sometimes I grasp at straws…) Talk to me worms, what do you think? I haven’t read The House at Riverton, but I have read The Forgotten Garden, The Distant Hours, and The Secret Keeper (in that order.) Going back and forth between the past and the present, the Wars, family secrets and the loss of identity or hidden identity are definitely recurring themes in her books. I love her style but the second book of hers that I read (The Distant Hours) I had a much harder time getting into it. I had to force myself through some parts. I didn’t connect to the characters as immediately as I did in The Forgotten Garden and I got a little frustrated that it was taking “so long” to just reveal the darn secret already. But, when I read her newest book (The Secret Keeper) I fell into it much more easily. I had the same reading experience that I had for the first book. Another author who really stands out as repeating themes is Carol Goodman (The Lake of Dead Languages, Arcadia Falls, The Drowning Tree, etc.) Some of her books I really enjoyed, and others, the “formula” was too visible for me and it annoyed me. I think you’re right. I totally agree on Alice Hoffman, too. She has her own style, but doesn’t recycle storylines the way some others do. Jodi Picoult gets a bit repetitive too. I haven’t read any Carol Goodman. Good call. I was going to say Jodi Picoult too… the end of Handle With Care, for example, felt really manipulative and an echo of My Sister’s Keeper.